Home Is Where They Love You: "You cannot ignore the evidence"
We had the opportunity to go to the UCLA vs. WSU game. My nephew plays on the offensive line for UCLA. It's hard to believe that he is old enough to be playing college football. We (my parents, Tanner, and Tayden) were 5 of about 30 fans of UCLA that day. We made it on T.V. though. Well kind of, you couldn't see me because a guy was in my way (and I look like I belong in "munchkin land"), but you could see everyone else! 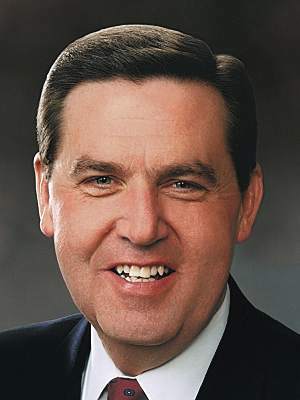 Then on Sunday we listened to Elder Jeffrey R. Holland at our stake conference. He gave the congregation a apostolic blessing. He blessed us that our prayers would be answered, that our children would be safe, that the men would honor their priesthood, and that those that we know will be blessed as well. Wow, it was an opportunity that I don't see us having again anytime soon. I was so glad that my children could hear the voice of an apostle of the Lord first hand. THE CHURCH IS TRUE, "you cannot ignore the evidence"! Sounds like an awesome weekend! So glad your parents were here to share it all with you. Love you! "Munchkin Land"...you crack me up! The game sounds like it was so much fun, and I bet Tayden LOVED every second! Sunday was so amazing. I still can't believe that we had this opportunity, but I too am so glad that my kids were able to be there and feel the Spirit. I love reading your blog! It has moved me. I just have to say thank you for bearing testimony of this great gospel we are so privileged to be a part of! Your family is so adorable!